While we’ve been told Matteo Darmian to Juventus is all but done, as Tuttosport have made clear about 54367538 times now, Gazzetta dello Sport on Thursday give us a further bit of information that confirms this. 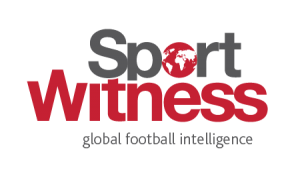 If you were on social media or follow Sport Witness updates regularly, you’ll be aware that Alvaro Morata was spotted on Wednesday in Milan having a casual chat with the Serie A champions’ director of football and his agent. What’s that got to do with the Manchester United defender? 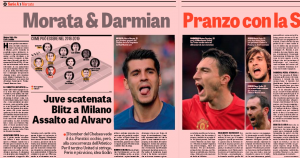 Well, Gazzetta dello Sport claim Matteo Darmian was also there, dining in the restaurant at a separate table. Is this a coincidence? Maybe, but the Italian newspaper see this as Juventus getting their transfer window engine revved up and letting the games begin. They say Darmian’s presence at the restaurant was ‘casual but not untimely’, as the Manchester United right-back’s exit edges closer, as Gazzetta expect him to return to Turin, this time at a different club, for around €12m. 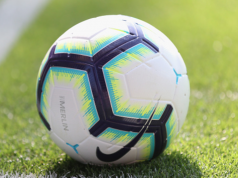 This means the Red Devils will be making a loss on the Italian defender, but, at this stage, we find it hard to believe anyone cares about this anymore, especially the fans.